By the waterfront docks, where the sailors all come in. • The Southampton Town Board voted unanimously Tuesday afternoon to approve a zoning change to pave the way for the redevelopment of the Canoe Place Inn and the construction of 37 townhouses on the east side of the Shinnecock Canal in Hampton Bays. The Beacon’s full story is online here. • The 18-member Board of Trustees of the State University of New York voted unanimously Tuesday morning to approve a partnership between Stony Brook University Hospital and Southampton Hospital that could pave the way for a new campus of Southampton Hospital at Stony Brook-Southampton.The Beacon’s full story is online here. • The Hallockville Museum Farm is celebrating its 250th anniversary this year, and they’re kicking off the celebration by using the new social sharing site Timegarden to electronically organize many historic images of each of the buildings at the museum. The timeline they’re working on for the Naugles Barn is online here. • The Bay Street Theatre in Sag Harbor announced earlier this week that Kim Fink has joined their staff as their new director of development. 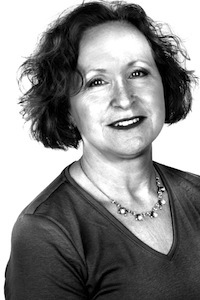 Ms. Fink most recently worked as director of individual giving at The Public Theater in New York, Kim has many years of experience working at a variety of performing arts, cultural, educational and social service organizations in New York City. She is an avid theater-goer and a long-time yoga practitioner who has summered on the East End for the past 20 years. • Riverhead Town is warning bikers that the EPCAL Recreation/Bike Path and surrounding area at the former Grumman Plant in Calvertion will be closed through Jan. 30 due to shotgun deer hunting in the area.